Byvandring.nu accepts up to 50% payment in artmoney. Art Money accepted 100% for payment of the 2 first individual tickets for sceduled Open Tours. Byvandring.nu is a city tour company operating in Copenhagen and the Øresund Region. Take a couple of hours to be led into the streets and the stories of Copenhagen. Discover Copenhagen on a walking tour to one of it's quarters. 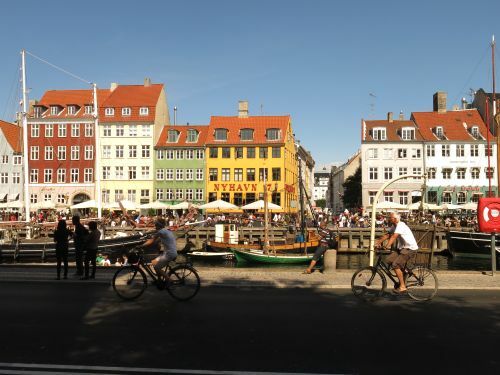 Go among the palaces of the King's City, and along the colorful canals of Nyhavn and Christianhavn. Dive into the history of of alleys and narrow streets, with shopping, stories, and the spirits of old Copenhagen. Or take the boat to the shorelines of history along the harbor, from Refshaleøen to the South Harbor - and into the varied neighborhoods of Vesterbro, Nørrebro, Østerbro. What are the tales of the streets, and how are the all places working and developing? We set up and design the tours together with our users. What kind of tour would you like? Fast, slow, social, for fun or study. Is it a workplace recreation, a tour with business guests or for out of town family? Should it include quizzes or coffee, or fit into a work or conference scedule? We make sure you get the most of Copenhagen. Bike tours and boat tours can be designed, and tours to regional destination like Helsingør, Roskilde, Dragør and Malmö. 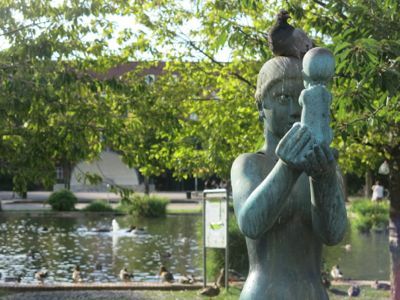 Our tours are developed for the local Danish audience. but we do tours in English, German, French, Spanish, Italian, Russian etc. Byvandring.nu is operated by historian and guide Paul Hartvigson, in cooperation with several guide colleauges. We invite artists to create Art Money based on our tours and city themes.